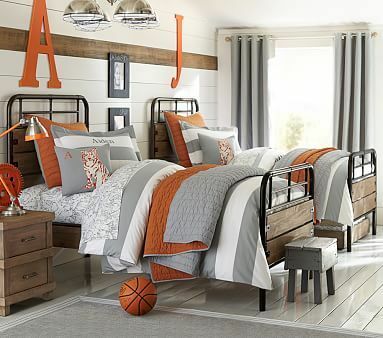 Boy's bedrooms can be challenging but luckily there are a lot of boy's bedroom ideas available. 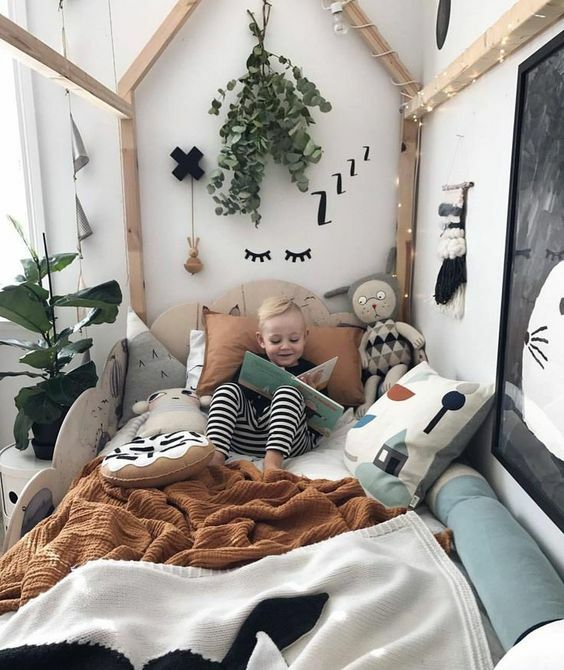 One challenge is that the space needs to be comfortable, it also needs to grow with them and it must have enough storage for clothing, books and toys. Think of it as a mini-bachelor apartment, but the occupant can't afford the rent. 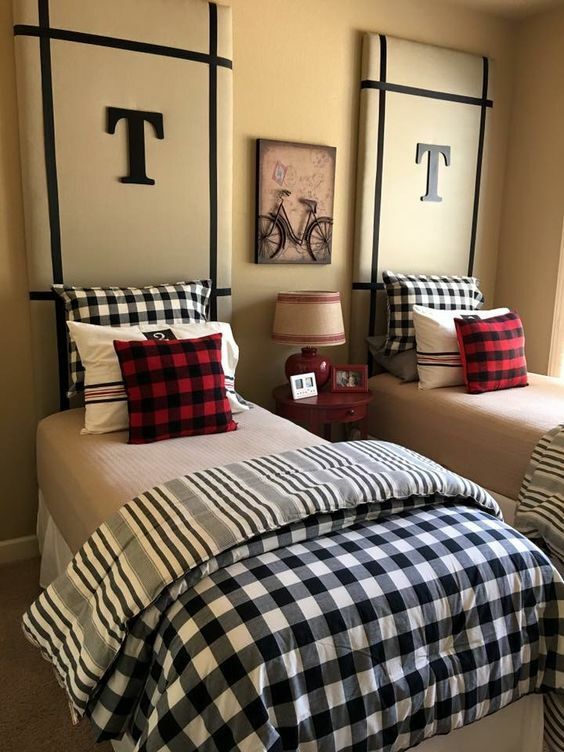 This post will cover boy's bedroom ideas by themes, color schemes and functionality, so they can enjoy falling asleep and waking up in their bedroom for years to come. 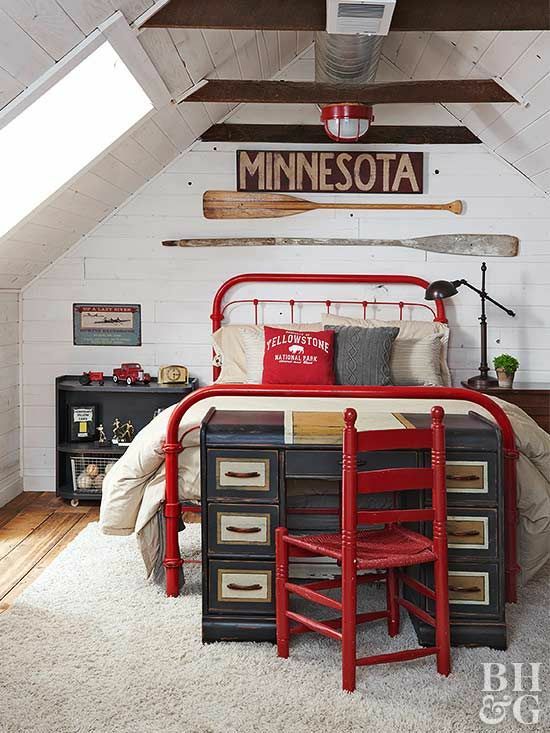 Often a boy's bedroom theme will be steered by their love of cars, Lego, art, toys or sport. What they love and are passionate about today may not be the same next year, or even next month making balancing decor and personality a little difficult. The first thing to honor is that this is their little world. If your boy likes cars, you can go wide and deep on this theme from choosing a bed in the shape of a car, bed linen with a car motif, curtains and carpets with racing cars or sticker wall art. Depending on your boys age, the same can be done with planets, history, sports teams, television characters or animals. 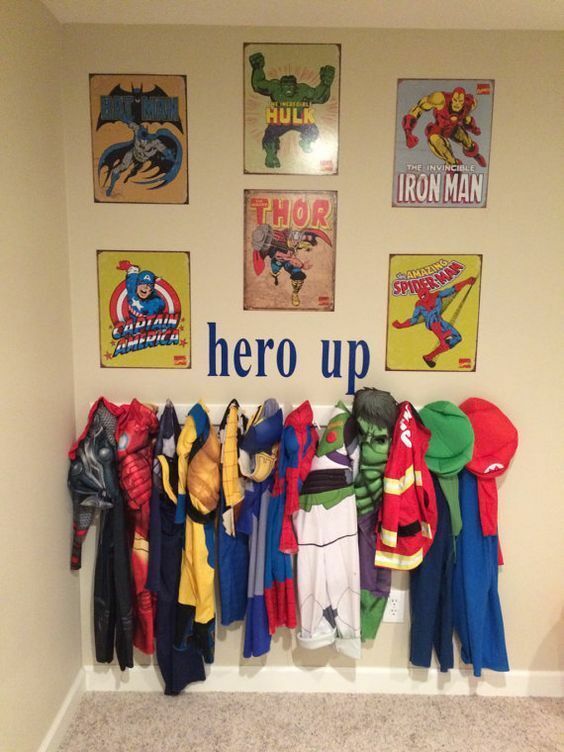 There is a section below dedicated to some of this year's most popular boys bedroom themes that you might want to investigate. The days of blue for boys and pink for girls hasn't totally disappeared, especially if those are their favorite colors. In many ways, it is far easier to have neutral wall colors like gray, beige, sand or even white and add accents of blue, pink, purple, or any other colors to keep it clean, minimalist and still personal. 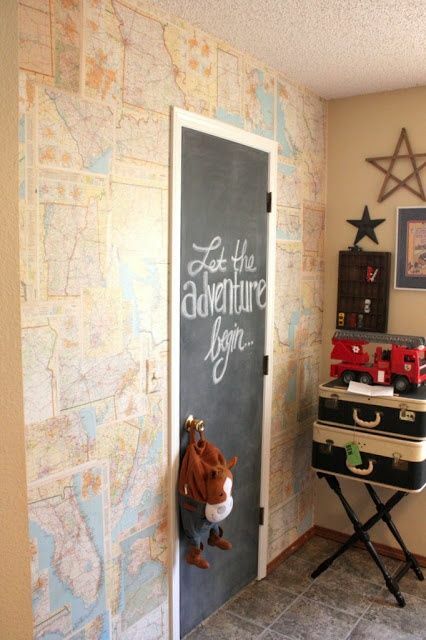 Peel and stick vinyls, stickers and wallpaper make this an easy task to update without ruining walls. 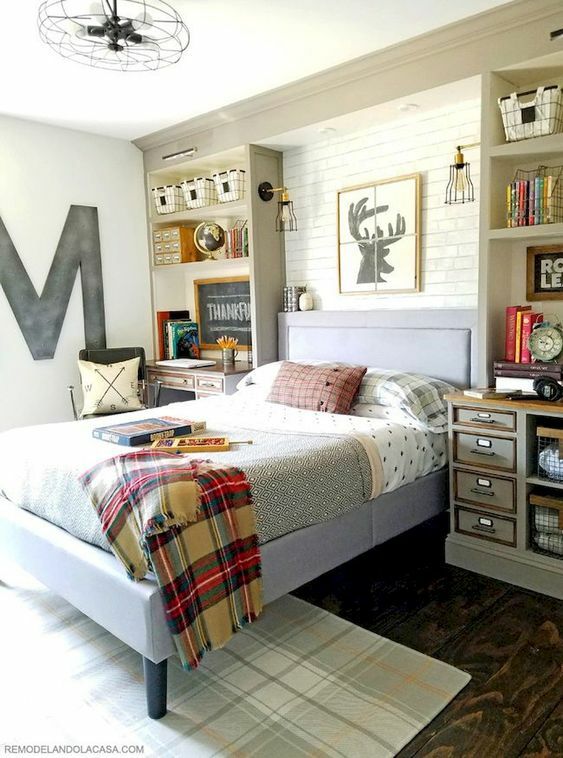 Adding functionality and good design into any bedroom is important, adding it to a boy's bedroom is one of the smartest decisions you can make. This will make it easier on them, and you to keep the bedroom clean and maintain. Expandable beds, Murphy beds, trundle beds, shelving, under bed storage, desks, seating areas, reading nooks and good lighting and electrical outlets will help to save space and make this bedroom enjoyable. Photographs of family and friends or drawings hung along a wall, a place for trophies or collections of trucks, cars or football heroes give the space a customized feel which is totally theirs. 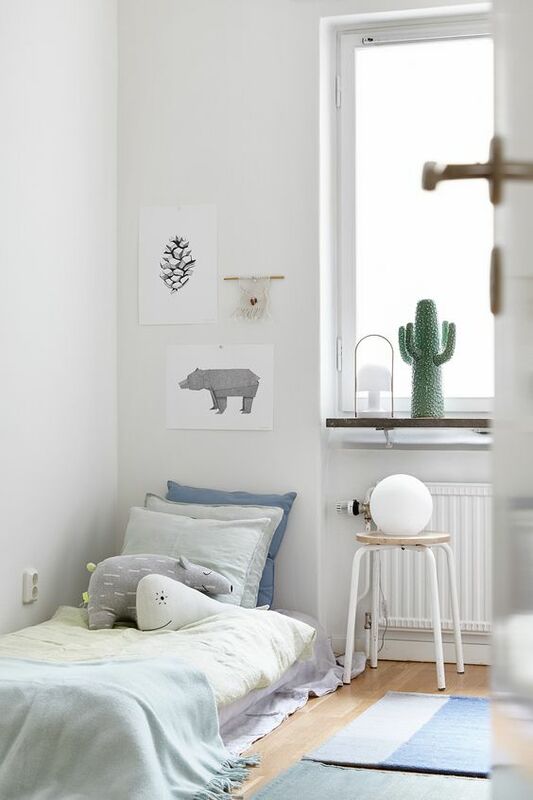 Warm wood elements and plants are trending high for boy's bedrooms. These natural, organic elements are not only good for decorating but also for their health. Plants bring more oxygen into rooms, helping your boy breathe better at night to get a better night's sleep. Geometric shapes are also trending high including geometric patterns in a variety of colors. These can be added as accents in textiles or wallpaper. 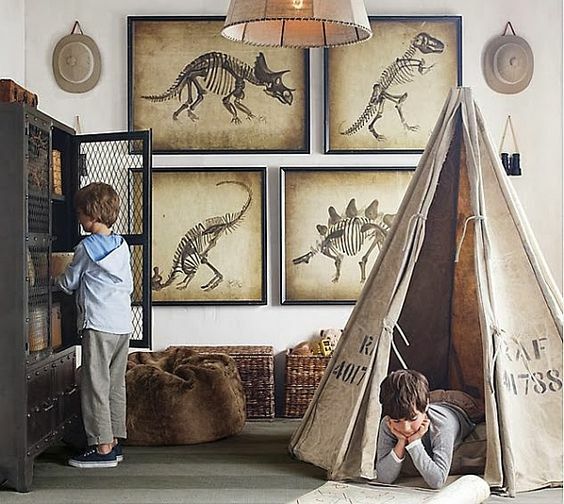 The Less Is More principle is being carried into boy's bedrooms making storage, recycling and decluttering important to make remaining a minimalist room a reality. 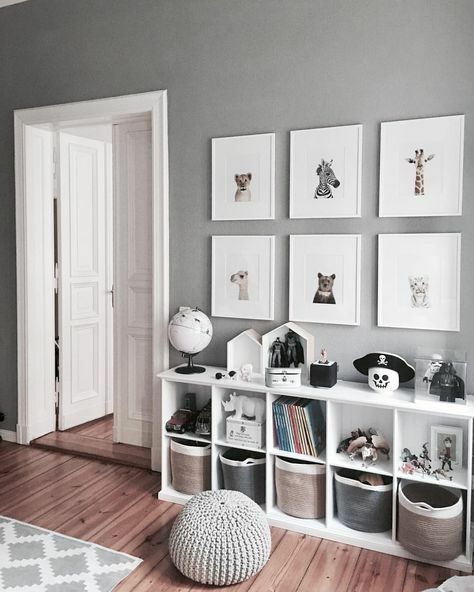 It is easy to visually overloaded spaces but with good storage and careful decorating you can create a cozy atmosphere that is also visually clean. 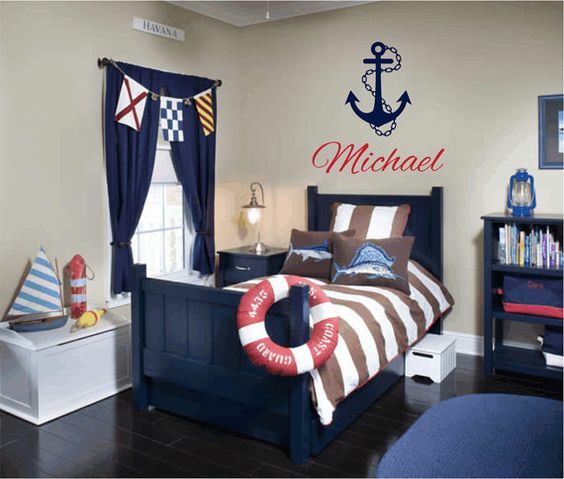 Here are a few decorative themes to use in boy's bedrooms. There are dozen's more, but these a currently some of the most popular. Boys are naturally curious and love travel and adventure. This can unfold is lots of ways from space travel, history or even science. 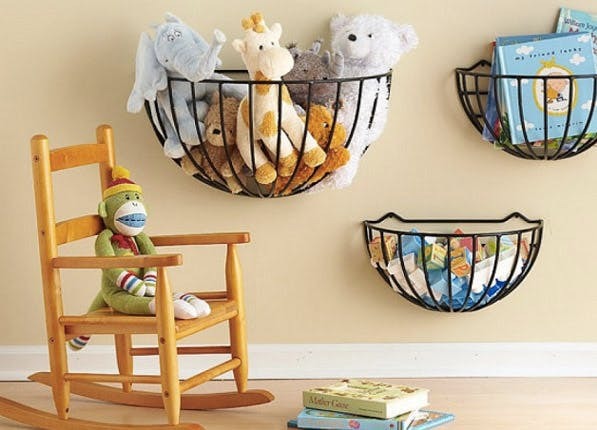 They will naturally collect those ideas which are the most meaningful to them and you can use these as your decorating platform. Black and white color scheme works well for boys. It is contemporary, no fuss and is neutral enough to change over time with different accent decor. Sporty boys love their sports teams, individual players and all the collecting paraphernalia that goes with it. 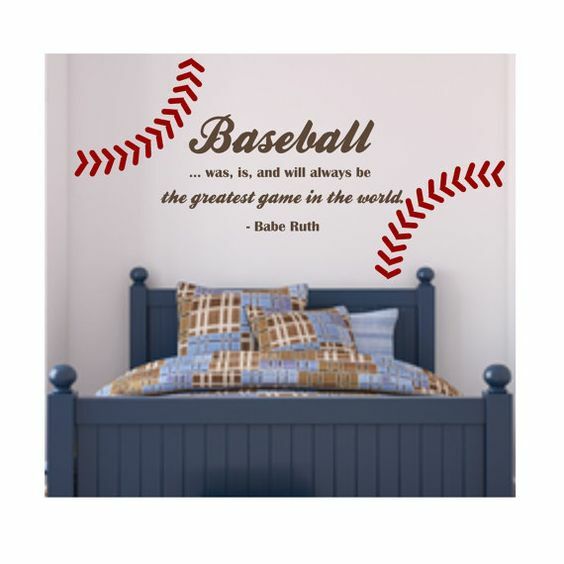 From horse racing, car racing, bike racing and yacht racing, polo, water polo or football, there are lots of ways to add a sports theme and tailor it to your boy's bedroom. Decorating with boats, yachts, ships, tankers and other things water related can take on a life of its own. 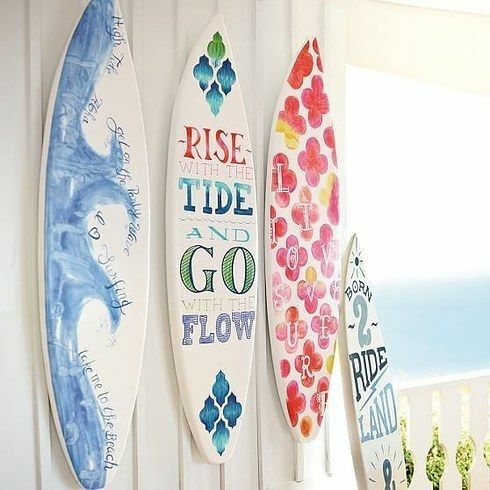 You can add blue and white with red accents, yacht racing knots, or go naval with signs, compasses, and maps. Sleeping, surrounded by things they love, will help them fall asleep and wake up happy and excited. Boys can get obsessed with heroes. They can be fictional superheroes, cartoon characters, video game characters, movie characters or real characters from anytime in history. You might get the feeling they live more with their heroes in their world than in your world. Action figures, posters, or murals can all add to bedroom decoration. If your boy loves to swim, surf, or dive than the beach and ocean will be his world. 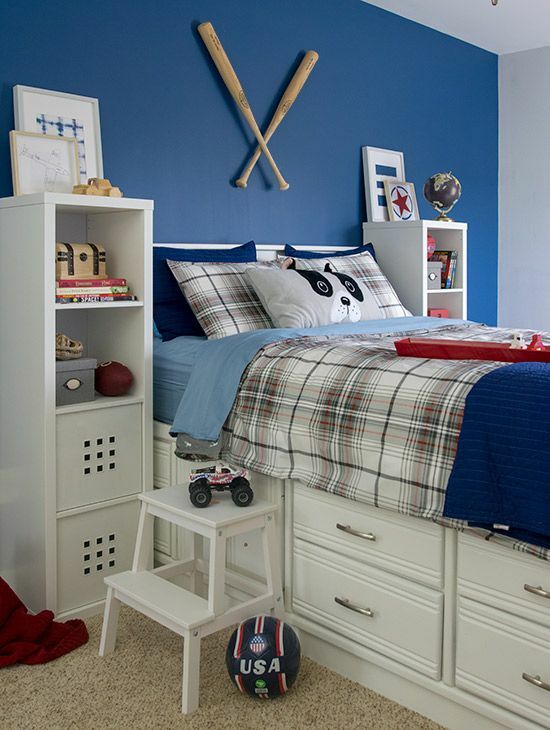 Blue is a good bedroom color and will help your child be calm and help him sleep. Sea shells, coral and starfish can all contribute to the sand and sea theme. Your son might be obsessed with Star Wars, the planets or living on mars. This theme blends travel and adventure themes with the hero theme. Its part science, part astronomy and part adventure. 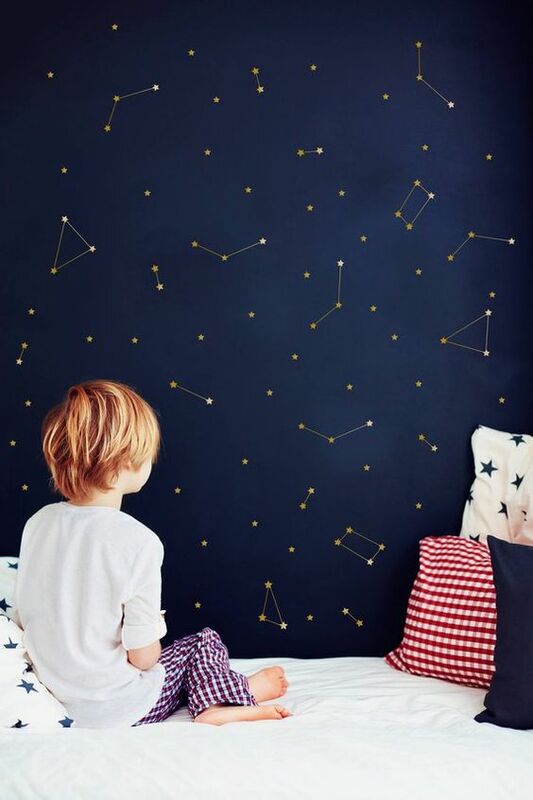 These themes are a few ideas to help you decorate your son's bedroom and add everything they love into the room, without looking like it is from another world.